When schools use data from college readiness assessments, it helps teachers focus their instruction to boost students’ skills and school counselors encourage students to add more challenging courses to their class schedules. The APS Foundation is enhancing its six-year partnership with Arizona Science Center with a $1 million grant to the Science Center’s Rural Communities Expansion Project. This grant will sustain the professional development of K-8 teachers in STEM (science, technology, engineering and math) subjects for the next five years and will allow the program to expand into Cochise and Yuma counties. Community partnerships, a focus on early learning and an emphasis on science, technology, engineering, arts and mathematics have helped make Laguna Elementary School a success, said Dr. Kathleen Root, retiring principal of the Scottsdale school recently awarded the A+ School of Excellence Award for the fourth time from the Arizona Educational Foundation. Why are teachers walking out of school? A majority of teachers voted to walk-out of classrooms to protest low teacher pay and per-pupil funding said leaders of Arizona Educators United and Arizona Education Association during a press conference on Thursday, April 21. Before the legislative session begins on Monday, Jan. 8, education advocates are urging legislators and the governor to back up their support for education with actions that increase school funding. AZ Schools Now will present options legislators could choose to enact that would invest $1 billion back into K-12 public education to provide sustainable, permanent and equitable funding for public schools during a news conference at 11 a.m. Thursday at the Arizona State Capitol’s lawn in Phoenix. Restoring some of the nearly $1.5 billion cut from classroom resources for the past nine years will be a priority for some Arizona legislators when the new session starts in January, a difficult proposition given a projected deficit and a vow by the governor not to raise taxes. “We need more resources, more funding. That funding needs to be sustained and predictable so that school districts can effectively plan from one year to the next and develop a salary compensation plan around what they know is coming instead of making cuts one year and giving a little bit back the next,” said Sen. Kate Brophy McGee, R-Phoenix (District 28). McGee was one of six Republican and Democrat legislators who spoke before a group of 300 public school leaders last month. 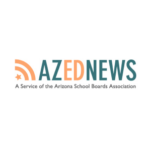 Underfunding of federally mandated special education services for public school students, coupled with a growing number of students with more severe disabilities, is straining general classroom spending in Arizona’s public schools. 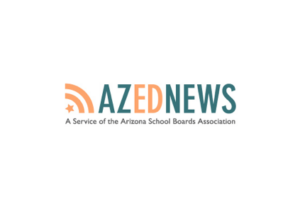 The state’s formula funding for special education is now $79 million less than what district and charter schools spend to provide the services required under the federal Individuals with Disabilities Education Act, according to a recent analysis by Dr. Anabel Aportela, director of research for Arizona Association of School Business Officials and Arizona School Boards Association. Statewide, special education expenditures exceed $1 billion and have increased 8 percent since 2013, Aportela said. State funding cuts over the past 10 years have made fundraisers and partnerships with local businesses and community organizations essential for Arizona schools to provide students with access to extracurricular activities, which research shows keeps them engaged in learning. Clubs, sports, music, arts, student community service organizations, field trips and before- and after-school activities tap in to students’ interests, are where they develop friendships, and “are all a vital piece to providing a well-rounded education,” said Tom Woody, superintendent of Bisbee Unified School District, which serves more than 770 students in southern Cochise County.